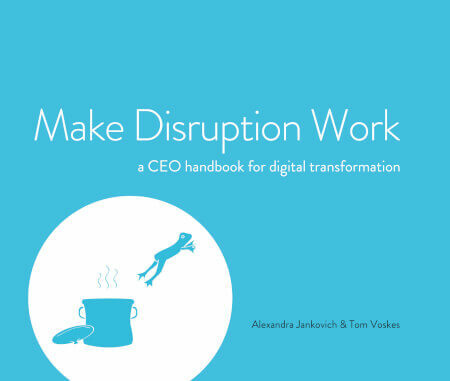 Digital disruption is the biggest challenge businesses are facing; Make Disruption Work gives you the blueprints of what it is and how to win at it. Jankovich and Voskes have worked with some of the biggest companies in the world, building their digital capabilities from the ground up. This book crystallizes the knowledge. It is practical, demystifying, effective, and endorsed by leading CEOs and business school professors (e.g. Unilever, INSEAD). Make Disruption Work is designed to be easy to navigate, and is richly illustrated with infographics, diagrams and real-world examples. It is focused on evidence, not opinion, and as a result is refreshingly concise. Disruption needn't be a threat. It's a power, and it's in your hands.